It takes 9 days to Celebrate! 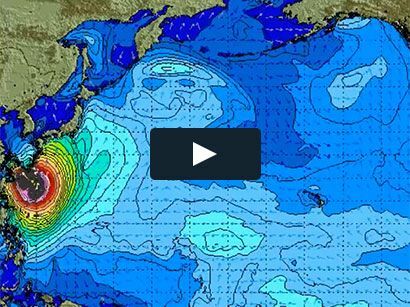 The Biggest Ocean Event in Hawaii is coming up fast! Get into position and Ride ’em! WAIKIKI BEACH, HONOLULU – July 28, 2017 – Duke’s OceanFest, Waikiki’s premier ocean sports festival, returns to honor the enduring legacy of the legendary Duke Paoa Kahanamoku, August 19-27. An Olympic champion, surfing pioneer and expert paddler, Duke Kahanamoku is fondly remembered as an accomplished waterman and ambassador of Hawaii’s Aloha Spirit. The 2017 Duke’s OceanFest will feature 30 exciting athletic ocean and beach competitions and special events during its nine-day schedule, with most taking place at Queen’s Surf on Waikiki Beach, a favorite place of Duke Kahanamoku, and home to the magnificent statue honoring his contributions to the world of watersports. Coinciding with Duke Kahanamoku’s birthday (Aug. 24, 1890), Duke’s OceanFest began as a one- day celebration on Aug. 24, 2002, to welcome the issuance of a commemorative stamp of Duke Kahanamoku by the U.S. Postal Service. Since then, the annual festival has grown tremendously in support from volunteers, generous sponsors, and supportive government agencies, which make the nine-day festival possible. Duke’s OceanFest supports the Outrigger Duke Kahanamoku Foundation (ODKF). Net proceeds from Duke’s OceanFest help fund ODKF’s awarding of scholarships and grants to Hawaii residents and nonprofit groups competing in water sports and volleyball. Renowned as Hawaii’s greatest athlete, Duke Kahanamoku won six Olympic medals, including three gold medals in swimming, and is recognized as the “Father of International Surfing.” In his prime, Kahanamoku was the world’s fastest swimmer, the single-most influential person in promoting surfing worldwide, and a champion paddler and steersman. Major or Gold Level Sponsors of Duke’s OceanFest include the Hawaii Tourism Authority, Outrigger Hotels & Resorts, Duke’s Waikiki, Honolulu Star-Advertiser, Matson, Kona Brewing Company and AccesSurf. Most competitions, events and exhibit booths for Duke’s OceanFest are being staged at Queen’s Surf, Waikiki, fronting Duke Kahanamoku’s statue, unless noted otherwise. The schedule is subject to change. 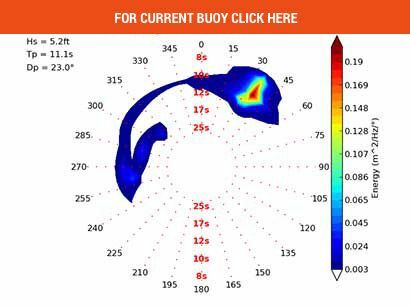 Please visit www.dukesoceanfest.com for updated information. For more information, please visit www.dukesoceanfest.com. 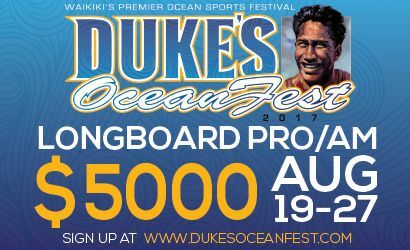 Duke’s OceanFest 2017 will take place from August 19-27 and features more than 30 ocean and beach competitions and special events, with most taking place at Queen’s Surf on Waikiki Beach, a favorite place of Duke Kahanamoku to surf, swim and paddle throughout his life, and now home to the magnificent statue that honors his legacy.